Looking at bass fishing pictures motivates me to want to head out the lake, or out to the delta river waterways and sloughs, and bang it out with a few big lunker largemouth bass. How about you? 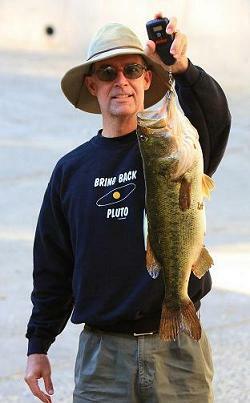 Black bass, like the Florida strain largemouth bass and spotted bass are always awesome to go fishing for, right!? So, why not snap some shots while you're out there having a blast catching those fish! Yeah, it's a good idea to capture the excitement of those moments of hooking into and landing these hard fighting fish. I only wish I had the presence of mind to snap a few photographs of just a fraction of some of the nice trophy size fish that I have caught throughout the many years of my freshwater fishing outings. Sometimes, I kick myself from the mere thought of forgetting to take any pictures, or even forgetting to bring the camera along at all. 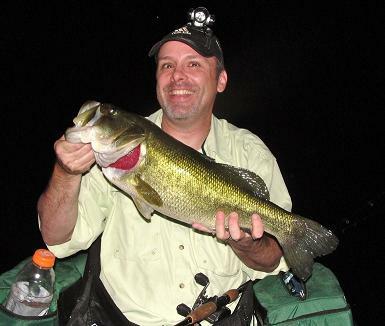 Anyways, this page is primarily dedicated to you and all our other visitors who enjoy seeing pictures of largemouth bass. So, if you have some bass pictures, or even some simple clip art, drawings, paintings and any other interesting bass pics, then share them here. We would enjoy checking them out. 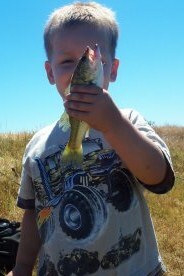 Or even tell about a cool bass fishing adventure, offer advice and tips, etc. Have Any Bass Fishing Pictures? 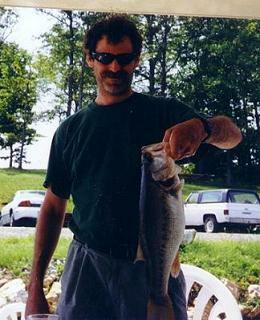 Do you have bass fishing pictures? A cool story about your catch? A memorable adventure? Or some additional advice, tips and techniques to help other visitors. To get started, enter a cool descriptive title below, then click on the link to continue with your submission process. May 6, 2011 just out fun fishing. This baby is 8lbs 14oz. I was flipping brush hogs deep into the heavy cover. Isn't the Delta grand. Caught this largemouth bass from my pond in my back yard.